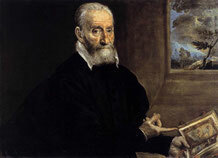 Giorgio Giulio Clovio Il Macedone - republic-of-macedonias jimdo page! 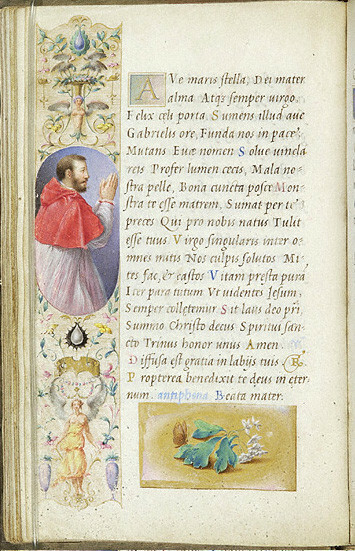 Giorgio Giulio Clovio , 1498-1578, Italian illuminator, miniaturist, and painter, also called Macedo or Il Macedone because of his Macedonian origin. 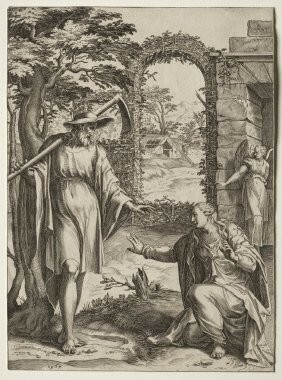 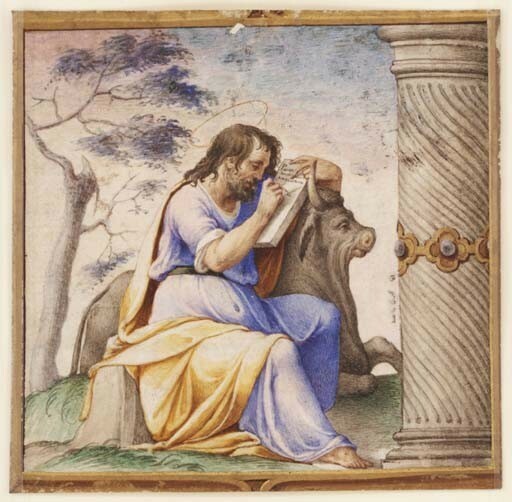 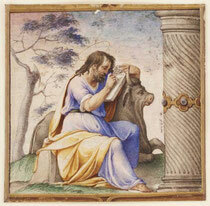 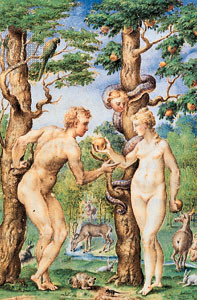 He studied at Rome with Giulio Romano and at Verona under Girolamo de' Libri, from whom he learned illuminating. 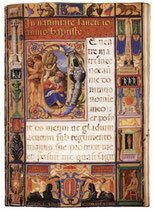 Clovio was employed by Louis II of Hungary, Cardinal Farnese at Rome, and other princely patrons. 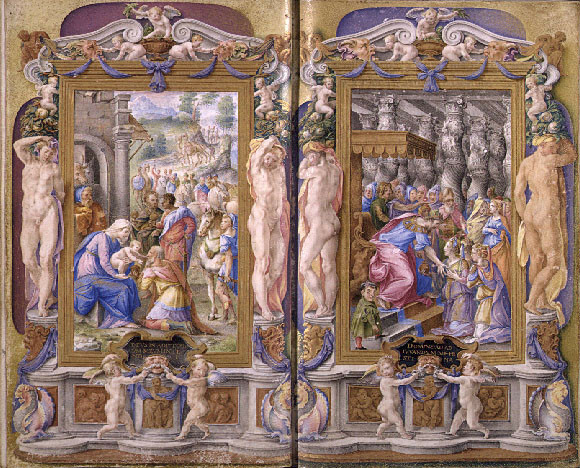 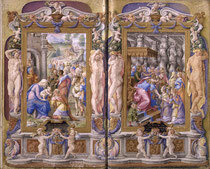 Among the best known of the many works ascribed to him are the illuminations for the Book of the Hours of the Blessed Virgin, his masterpiece; the manuscript biography of Frederick, duke of Urbino (Vatican Library); Cardinal Grimani's Commentary on the Epistle to the Romans (Soane Mus., London); The Victories of Emperor Charles V (British Mus. 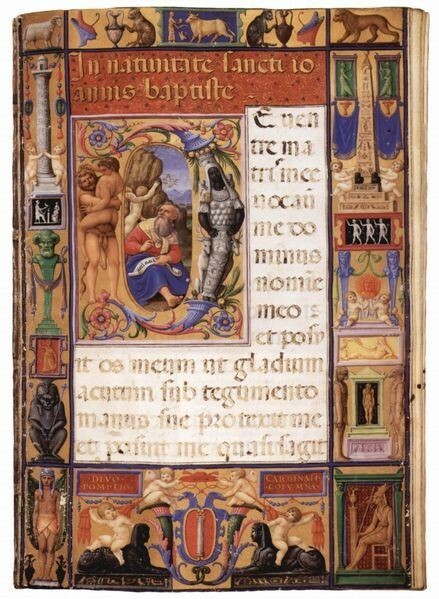 ); and the Farnese Breviary (Pierpont Morgan Library, New York).